Action Figure Insider » Dominate the Universe with The Expanse: Doors and Corners Expansion—Coming Soon! Hillside, NJ – January 8, 2019 – WizKids is pleased to announce that The Expanse: Doors and Corners, the first expansion for The Expanse, its game of politics, conquest, and intrigue, based on the acclaimed television series, is coming soon to North American Game Stores! 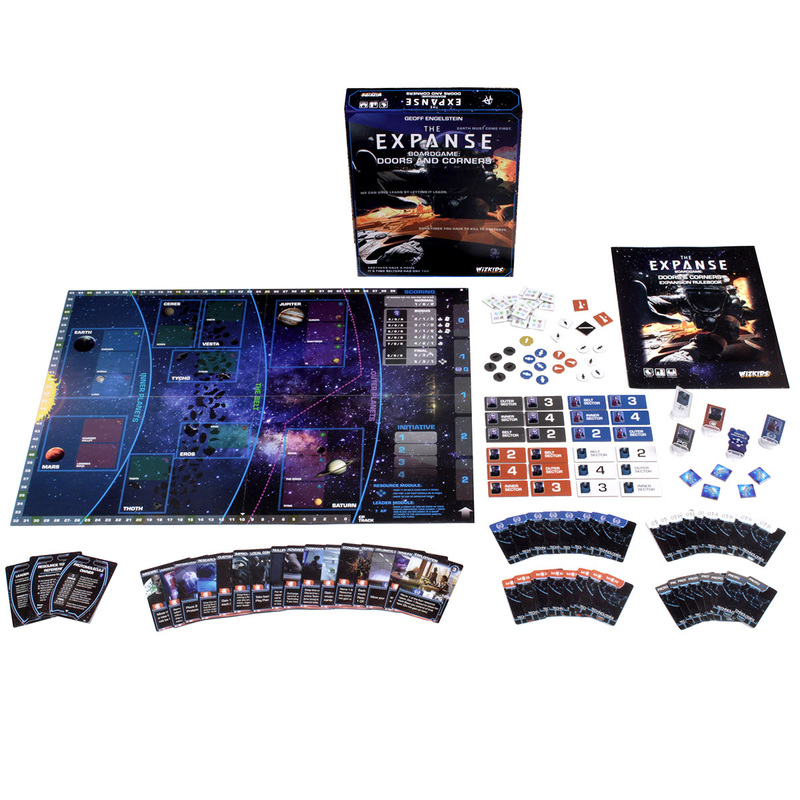 In The Expanse, players use characters and events in the Expanse universe in order to spread their influence and compete for dominance. The game’s accessible, card-driven system allows players to utilize action points in order to move or place fleets and influence, and use their faction’s unique abilities to gain control over the solar system. The Expanse: Doors and Corners expansion adds five new modules to the game—Leaders, who can go with fleets and can add influence when they do so, New Tech, which gives player three random choices whenever a tech is earned, Resource Tokens, which can be spent in a variety of ways to add AP, help pay CP, move the initiative track, or earn bonus points, Protomolecule, which adds a new scoring opportunity, and Variable Setup, which allows for fleets and influence to be placed anywhere at the start of the game. These modules can be used in any combination in conjunction with the base game, adding new and engaging elements to the strategy and gameplay. The Expanse: Doors and Corners is a fantastic addition to this exciting game, allowing you to spread influence throughout the Expanse universe in a whole new way! This expansion is coming soon, so be sure to preorder it at your Friendly Local Game Store or online today!